A local favorite, the legendary Margie Engle is one of the most successful show jumping riders of all time, with hundreds of Grand Prix wins. She is a 10-time American Grandprix Association Rider of the Year. Between 1984 and 2005, Engle won six World Cup and 20 Nations Cup titles, as well as the team silver medal at the 1999 Pan American Games and team gold medal at the 2003 Pan American Games, where she also seized the individual bronze medal. Engle was part of the silver medal team at the 2006 World Equestrian Games. As Engle celebrated her 60th birthday in 2018, she proved once again that she remains a force to be reckoned when she was victorious with Gladewinds Farm’s Royce in the $500,000 Rolex Grand Prix CSI 5* in the final Saturday Night Lights event of the 2018 Winter Equestrian Festival. Engle and Royce were able to speed around the jump-off course to take home their second individual five-star victory in a time of 39.35 seconds. She and her husband, equine veterinarian Dr. Steve Engle, live in Wellington. 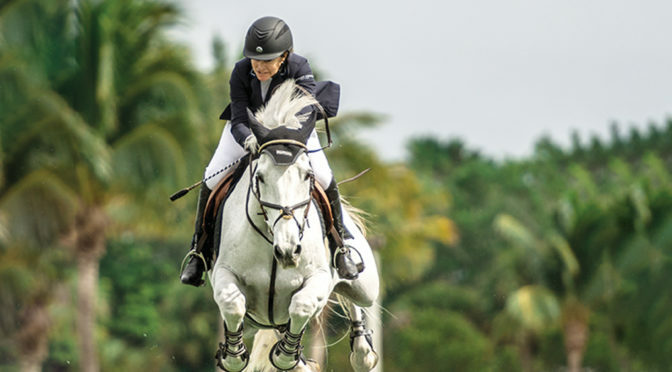 Aside from her riding career, Engle holds a degree in business education from Florida International University.